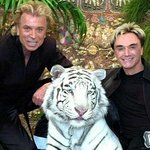 Siegfried and Roy support the College of Magic in Cape Town, South Africa. 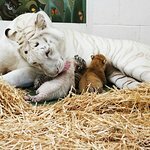 The Siegfried & Roy SARMOTI Grant was established in 1997, enabling disadvantaged young people to join the college and experience the world of magic. Google trends for "Siegfried & Roy"
We don't have any videos related to Siegfried & Roy.